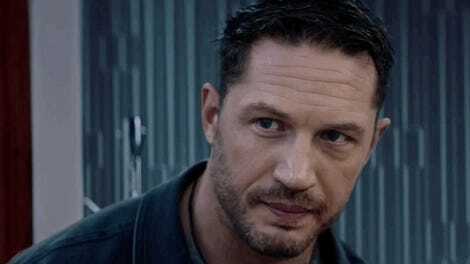 According to Tom Hardy, lots of dark comedy got cut from Venom. Depending on how fans react to Venom when it hits theaters this week, we may now have the quote to launch a million think pieces. Co-star Riz Ahmed, who was also being interviewed, then suggested there’s a difference between a scene an actor loved to film and a scene fitting in the movie, which lead to a bunch of joking. So it’s hard to decide just how serious Hardy is being. But, for the most part, he seems genuine. Decide for yourself. The question comes in at 4:40. If Venom is as good as we’re all hoping, Hardy’s answer here will become nothing other than a frivolous quote from the press tour. If, however, it’s not as good as we hope, there’s no doubt him saying his favorite half hour of the movie isn’t in the movie could be used as ammunition to explain why that may be. The truth, however, is probably just what Ahmed said. 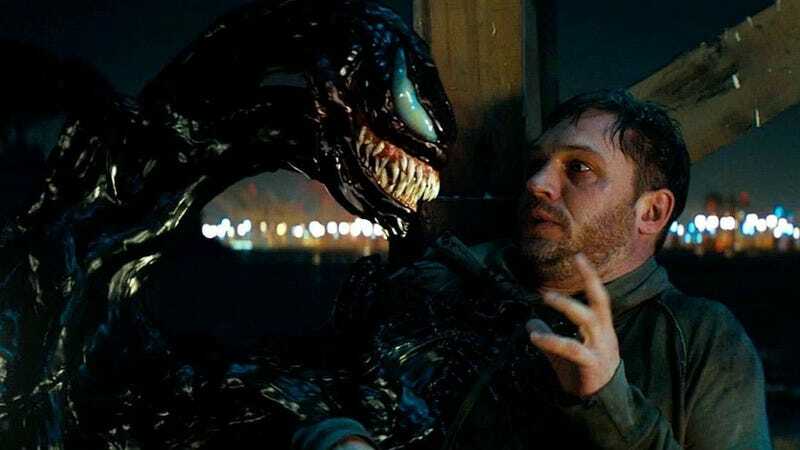 You can easily imagine Hardy loving to film weird, creepy comedy scenes as Eddie Brock, which director Ruben Fleischer just felt didn’t fit in with the tone of the film. Or, maybe, they were just a little too racy for the film’s PG-13 rating. Venom is in theaters Friday. Update: October 2 - Tom Hardy clarified to IGN that, yes, he was talking more about fun times on set rather than plot points that drove the movie. Here’s the clip.